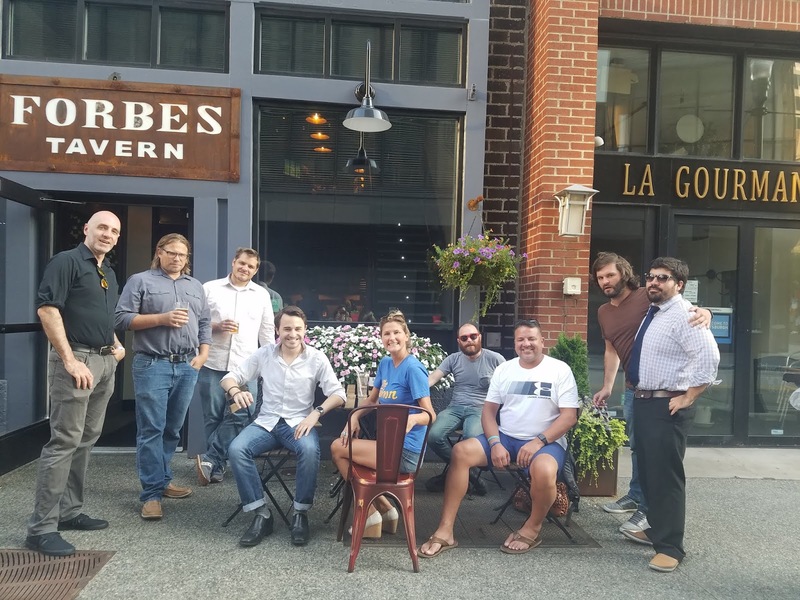 The brand new Forbes Tavern sits in the location of the very old Courthouse Tavern on Forbes Avenue. The Courthouse Tavern had a certain undeniable charm. 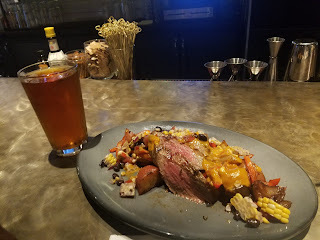 It was a great place for casual day drinking, the food was cheap and the entire bar smelled of sewage. I'm delighted to say that the new owner of Forbes Tavern has done a wonderful job with the renovations! The new space has a very clean and modern feel. When I asked about the smell of the previous establishment the new owner, Chris, mentioned that he had spent countless hours personally scrubbing the basement in order to remedy the issue. How quaint. 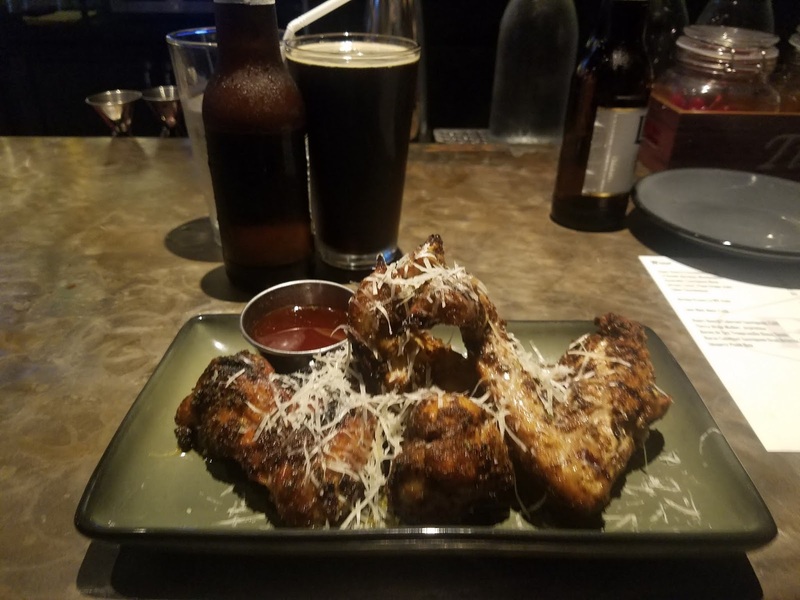 Specials run from 4:00 to 6:00 pm with appetizers priced from $5 to $9. 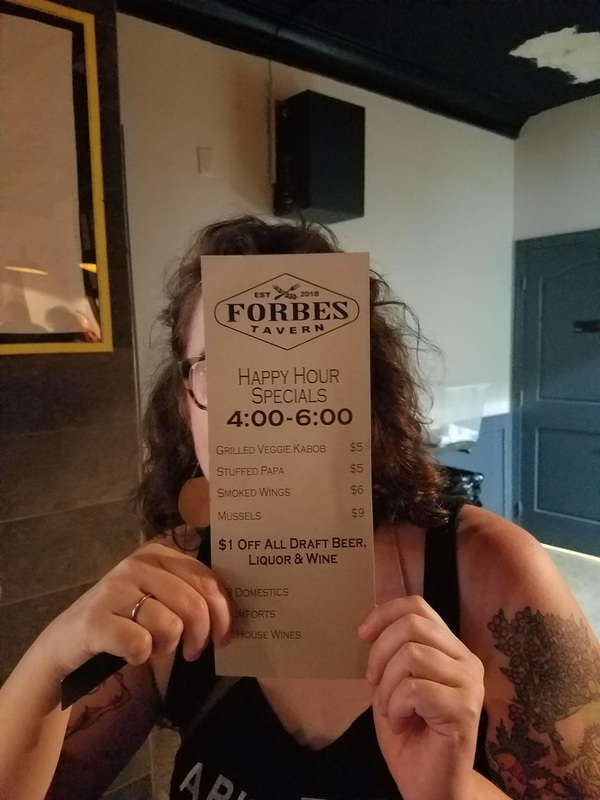 We had great food and some very good service at Forbes Tavern, our only complaint is that as the bar reached capacity it was a little loud, but the owner told us he was working to find a solution.